Description: Rats are four legged scavengers. Constantly in search of water, warmth, and food supply. Rats have very strong teeth, allowing them to chew through plastic, wiring, and lumber - a wide variety of materials. They are nocturnal animals - so daytime activity is scarce. They have an excellent memory despite their small body structure. Rats are also excellent climbers and only need a hole about the size of a quarter to gain entry. Typically they are black & grey in color and can be as long as 12" or more in the right environment. Lifespan & Reproduction: A typical lifespan for a rat is around 18 or so months. Some will not survive that long and others may live even longer. Rats are an extremely quick reproducing species. 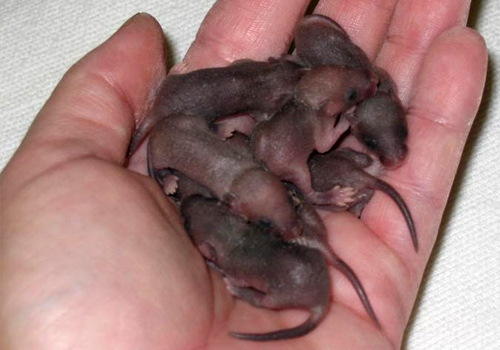 They are fully sexually developed at just 5 weeks of age and there is no specific rat breeding season. Female rats will go in to heat about every 4 to 5 days. Rat gestation period is approx. 21 - 23 days and a single female rat will produce anywhere from 10 - 12 + young at a time. A female rat will typically reach menopause around 18 months of age and reproduction will come to a halt during & after this stage of change. Rats can live anywhere from two to five years depending on a number of variables (size, climate, and food & water source availability). Food Sources: Rats will eat just about anything. Whatever food sources exist - they will make use of, but not limited to: eating fruits, berries, vegetables, cereal, pet food, nuts, grain, insects, snails, rotten food, and when desperate, even each other. Typical areas of entry: Open or Damaged sewer systems, small or large open holes within the foundation or roofline, door thresholds, open utility lines, unscreened crawlspace & roof vents, and countless other probable areas. Once they have claimed territory indoors, rats will travel through insulation in walls & ceilings, inside and behind cupboards, appliances, bath tubs & shower stalls, and also near sources of heat such as basements, attics, furnaces & heating systems, especially where things are stored. Typical Removal/Treatment: Rat infestations are very different from your typical wildlife intrusion. Because of their small size and reproductive abilities, there are usually many rats present at one time. Rat Trap placement will begin to take care of some of the issue. Placing and monitoring traps for rats is a very important part of exclusion. But monitoring & maintaining traps to remove intruding rats from the structure goes hand in hand with the importance of sealing up exposed or open areas. Closing off entry and exit points will keep from further infestation, but once those open points have been sealed, some rats will be trapped inside - monitoring the traps and re-setting them once intruders are caught & removed is imperative to a successful exclusion. Dangers: Rats carry ectoparasites (insects such as fleas, lice and bed bugs) that are easily transmitted to pets & humans. Rat droppings, saliva & fur can also carry the Hantavirus; although a rare disease, it is typically fatal. Rats are also responsible for the spread of Bubonic plague - a highly contagious disease caused by bacteria carried by fleas. Fleas then transmit the disease to rats, and they become avid carriers. Rats that have not been domesticated are even inclined to bight and fight for their lives if need be. The damage a pack of rats can do to an untreated structure can be devastating. Description: Statistically, mice are the most invasive form of wildlife. They infest more homes and structures more typically and frequently than any other type of wildlife. This is because mice are nocturnal, and can typically go undetected. Their bodies are compiled of mostly cartilage bone, allowing them to squeeze through openings ¼" or larger. Although their sight is somewhat compromised, their excellent sound & smell abilities more than compensate. Lifespan & Reproduction: Within a few months of birth, around 60 days or so, newly born mice can begin reproducing. Several mice litters can be produced within a matter of months, which defines why mice infestations can get so out of control so quickly. Female mice go in to the heat cycle every 4- 5 days. Ovulation & reproduction is almost constant for these creatures; they can produce a litter of approx. 10-12 pups within approx. 20 days. In the wild, mice can typically survive a matter of months depending on a number of variables (size, climate, and food & water source availability) while mice that have been kept in captivity can live for years at a time. Food Sources: Mice will live off of a wide range of nutrients. Similar to rats, any type of food source available, they can probably make use of. Mice obtain much of their water source by most of the foods they eat. Due to their small size, a very small food source (such as a cookie) can feed a family of mice for weeks. Typical areas of entry: Open or Damaged sewer systems, small or large open holes within the foundation or roofline, door & window thresholds, open utility lines, unscreened crawlspace & roof vents, and countless other probable areas. Once they have claimed territory indoors, mice will travel through insulation in walls & ceilings, inside and behind cupboards, appliances, bath tubs & shower stalls, and also near sources of heat such as basements, attics, furnaces & heating systems, especially where things are stored. Typical Removal/Treatment: Mice infestations are very different from your typical wildlife intrusion. Because of their small size and reproductive abilities, there are usually many present at one time. Mouse Trap placement will begin to take care of some of the issue. Placing and monitoring traps for mice is a very important part of exclusion. But monitoring & maintaining traps to remove intruding mice from the structure goes hand in hand with the importance of sealing up exposed or open areas. Closing off entry and exit points will keep from further infestation, but once those open points have been sealed, some mice will be trapped inside - monitoring the traps and re-setting them once intruders are caught & removed is imperative to a successful exclusion. Dangers: Mice, as well as rats, carry ectoparasites (insects such as fleas, lice and bed bugs) that are easily transmitted to pets & humans. Rodent droppings, saliva & fur can also carry the Hantavirus; although a rare disease, it is typically fatal. Mice that have not been domesticated are even inclined to bight & scratch; especially when they feel their lives are being threatened. The damage of a mice infestation can be devastating. Our professional trappers will also be able to seal up areas in shed or under porch and home where rats or mice have entered the home. 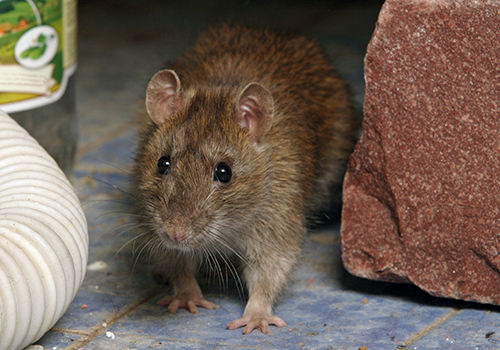 Trapping and exclusion of rats & mice is available for homeowners and business owners throughout Maryland, Washington DC and Northern Virginia.